Royce and LeeAnn together form a strong team, having owned and operated their own businesses for the past sixteen years. They have taken on many challenges in life, and overcome them with confidence and faith. Royce and LeeAnn oversee all the daily aspects of Valiant recovery. Royce and LeeAnn have both completed there intervention training, and are certified Relapse Prevention Specialists, through the Genesis Process. In their spare time Royce and LeeAnn take joy in volunteering. LeeAnn has led different areas and events with Children’s ministries in their local church, and is part of prayer and prophetic ministries. Royce donates his spare time helping out in the audio department at their local church, and other churches abroad. Jenny coordinates and oversees the client programs and general operation of the facilities here at Valiant Recovery. 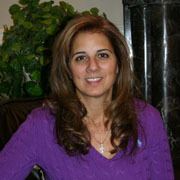 She is a certified Relapse prevention Specialist with the Genesis Process, a relapse prevention program. Jenny Facilitates a variety of courses at Valiant Recovery related to addiction. and specializes in helping client form healthy boundaries. Jenny loves teaching courses and leading others to become stronger individuals, teaching them to guard their life and emotions. It is her desire that everyone is able to be free from the problems that grip them and to experience a new freedom in life. Jenny began working in residential treatment programs in 2003, and has worked with many individuals struggling with addiction and sexual abuse outside of these programs as well. Mitchell loves to teach and lead small groups, helping others discover their full potential and purpose in life. He has been a 12 step practitioner for over twenty five years, worked as an ordained Pastor, Teacher Facilitator and outreach worker with street addicts. Mitchell Competed in and coached Professional skiing and firmly believes in healthy diet and exercise as essential pillars to the abundant life. On his Day off you will often find him at the gym, on his bike or at the Ski hill. Curtis comes to us with a strong background of life experience and education in addiction as well as multiple years of personal recovery. When Curtis is not at work you can find him volunteering at various homeless shelters in the community and working with “At Risk Youth”. “I believe recovery is a journey that never has to be taken alone. We all need guidance and support to have our spiritual, mental, emotional and physical needs met.It is my purpose and my path to help anyone who is ready to make this journey”. 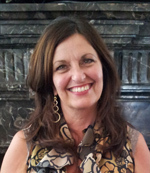 Tia Cherneski has studied at the Upledger Institute which is the founding organization of “CranioSacral Therapy”. She has completed advance work in this modality and continues to upgrade her skills and knowledge through further training at the Institute. She has also successfully completed training in the Onsen technique specializing in pain management using a structural and osteopathic approach. She also has training in visceral manipulation, somato emotional release, swedish massage, deep tissue, hot stone and aromatherapy. Tia has earned her Bachelor of Social Work degree and has had a wide range of experiences including counselling, family support work, and international development. Tia is a member of the International Association for Healthcare Practitioners and Namasta, a North American organization for mind-body professionals. Dr. Troy is a Chiropractor, trained with a holistic philosophy. Chiropractic is based on the fact that your body is self-healing and self-regulating. Chiropractors focus on ensuring that your body’s own innate healing ability is working at its best. By specializing in the care of your spine, Chiropractors influence the system that runs all other systems of your body. Only Chiropractors provide a comprehensive solution to take care of the health of your spine and nerve system, and ultimately your body. Dr. Troy is a 5th generation chiropractor and graduated from Palmer College of Chiropractic where the profession started over one hundred years ago! Being able to help people become healthy is why he became a Chiropractor. After graduating, he migrated west to the beautiful Okanagan Valley to set up a family based practice in 1993. Dr. Troy uses the Pro adjuster as well as manual adjustments. Using the Pro adjuster Troy is able to help many patients who may have feared chiropractic adjustments, now sit comfortably and without tension through their adjustment. You can also find Dr Troy on Castanet.net. His column “Wellness and You, with Dr Troy” talks about relevant issues today concerning everyone’s health and welfare. Dr. Troy has always had two passions in life. One was to have a family, the other was to be a chiropractor. Now married with four children, he spends his summers swimming in the lake with his family, gardening with his wife, golfing with his friends and reading for himself. Winters are spent up at Big White where he watches his family tear up the slopes! He is also an instructor with the Canadian Ski Patrol. Finally, he has had the privilege over the last dozen years to volunteer in children’s ministries and as a sound technician at Kelowna Christian Center.